Let's face it, rain plays havoc with your beauty regimen. Sometimes, especially if you've left the house without an umbrella, you end up looking like you've spent hours crying, as your mascara and eyeliner make their way down your face. And then, joy of joys, if it's got really far down, you look like you have a little bit of stubble (what do you mean that hasn't happened to you?). Hair is also another loser when it comes to wet weather. 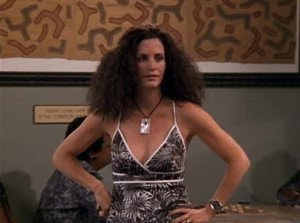 It's either a totally tangled mess or, once it's dried, you resemble Monica in Friends when she went to Barbados. So, what do you do when faced with the prospect of looking completely ungroomed? Here are just 15 beauty products which will save you from looking like a drowned rat. Unless that's the style you're going for, of course.